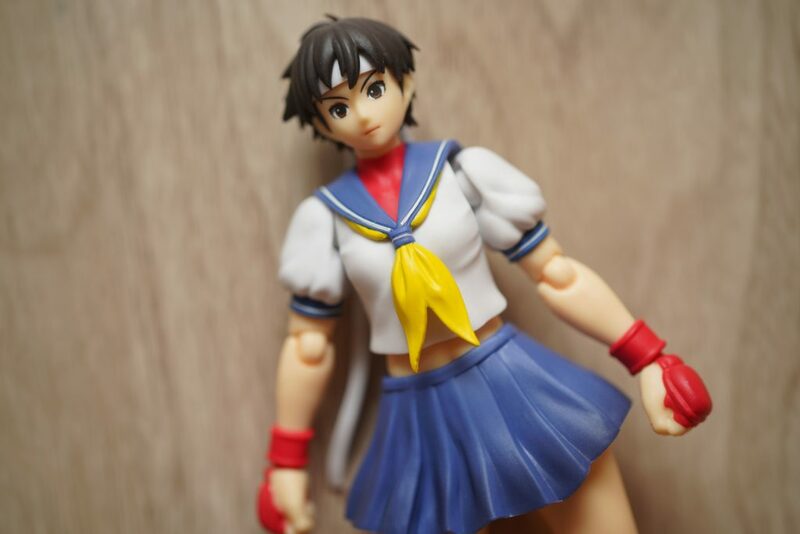 She’s probably the one of the most quirky character in the Street Fighter Universe – I’m talking about Sakura Kasugano. 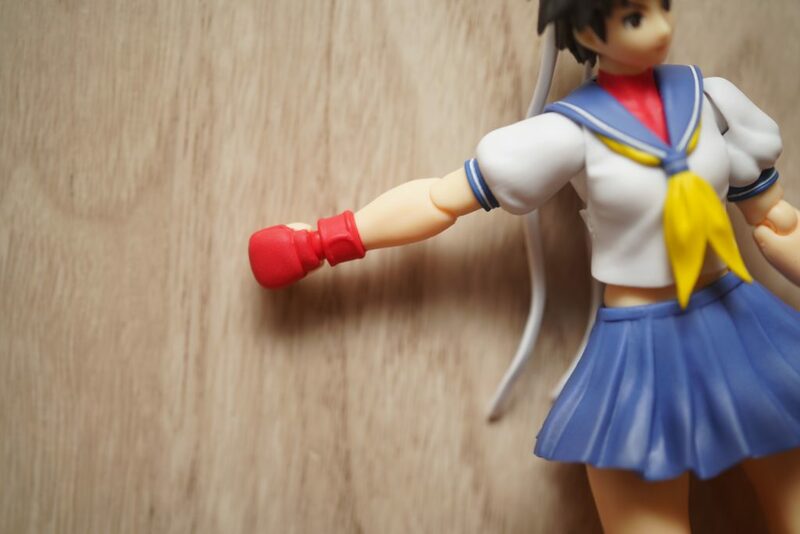 Sakura has an intense fandom over Ryu that’s why her fighting style is quite similar to Ryu’s. 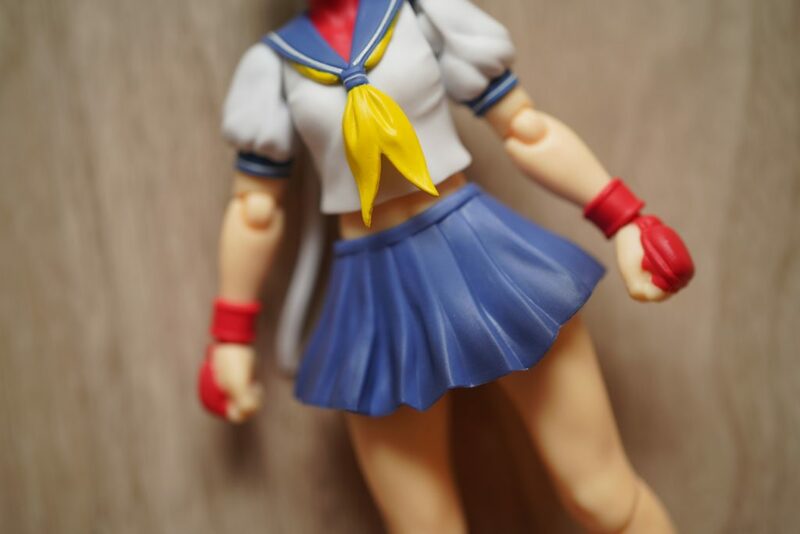 Her white headband even came from Ryu as it was given to her at one point in the Street Fighter Alpha storyline. 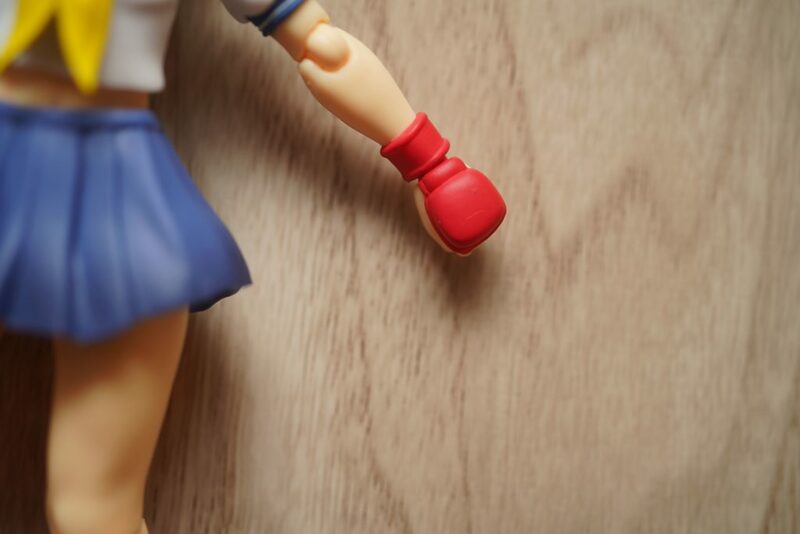 Today’s unboxing is for the 8th Street Fighter S.H.Figuarts figure from Bandai. If you want to read the earlier releases, please click the links below! 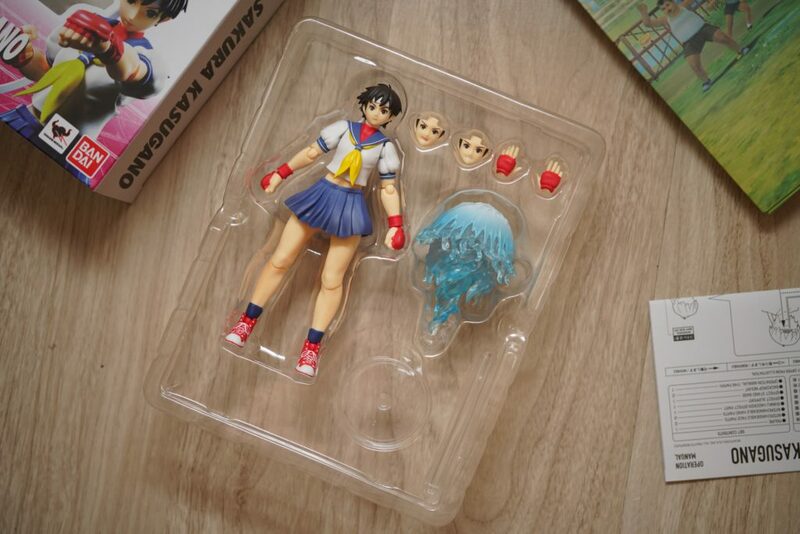 This unboxing review is brought to us by GreatToys Online – visit their store and online accounts to know more about the figures and toys that are up for sale! 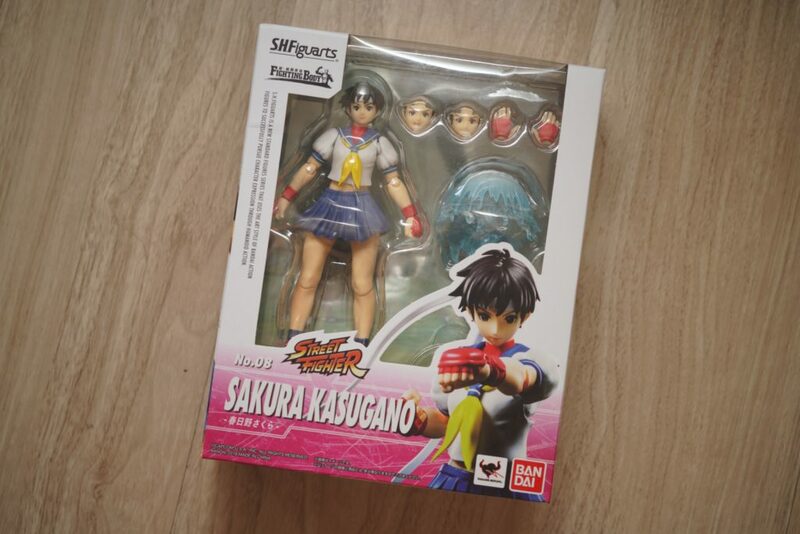 The box design for the S.H.Figuarts Sakura figure is not in line with the Street Fighter V artwork which is notable from the first 4 figure releases from the Street Fighter line. 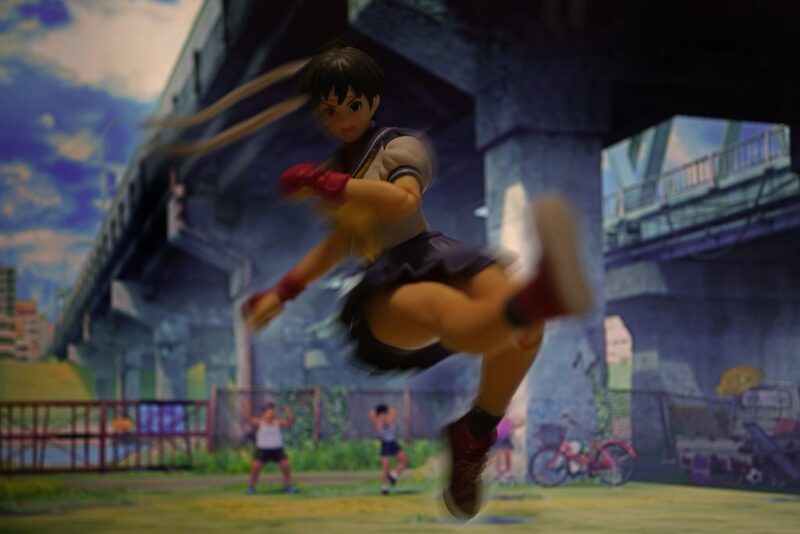 You’ll notice that Sakura is wearing her Street Fighter Alpha costume when she first made her debut appearance. 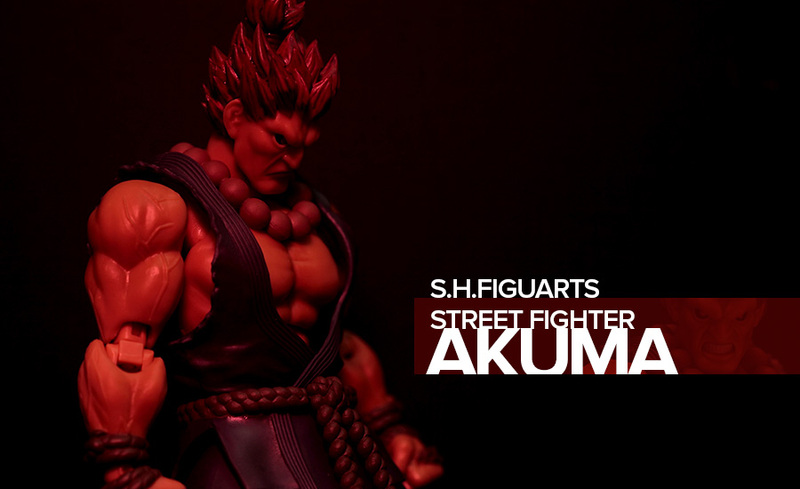 I’m really not sure what the direction of S.H.Figuarts is in terms of production of which Street Fighter series to produce but I hope we’ll get more iconic characters soon. 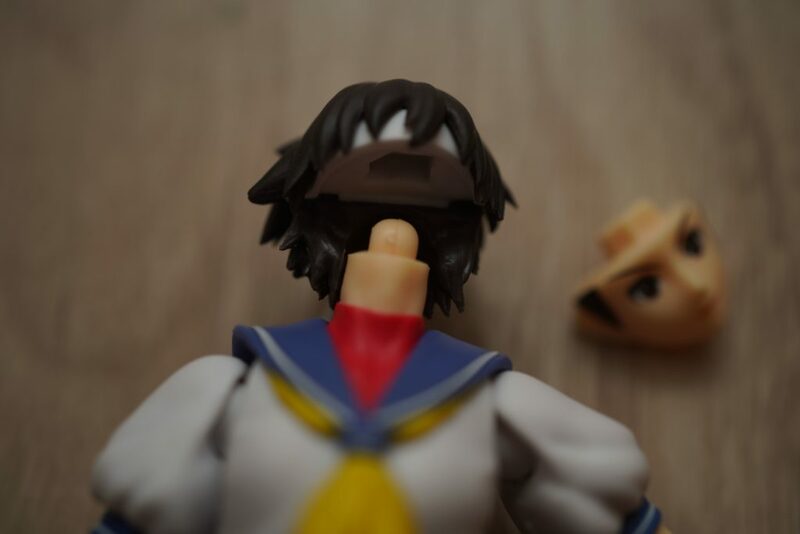 Knowing that this figure has the Fighting Body sculpt from S.H.Figuarts, I immediately knew that articulation won’t be an issue. 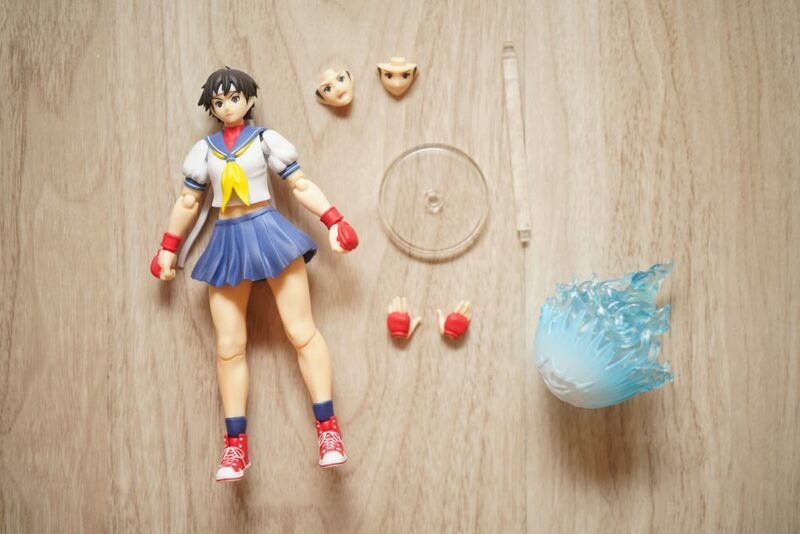 The Fighting Body mold is basically a better articulation built for their Figuarts line mainly because of its durability and versatility when it comes to complicated poses.What’s Inside the Box?The set includes the basic accessories – open palm interchangeable hands, the hadouken effect, effect base and stand and the set of interchangeable face plates. I wished that they’ve added a few more interchangeable hands for this set – I feel that we can have more variety with more hand options. The face plates includes a fighting face and a smiling face expression. As I’ve mentioned earlier, with the Fighting Body mould, articulation is better than that of a regular Figuarts figure. 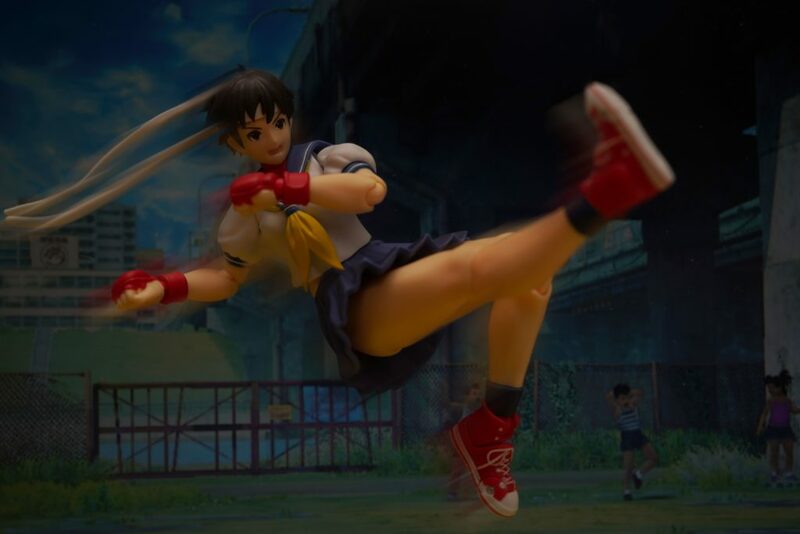 I like the poseability and versatility of the figure. The skirt is no hindrance as it has a slit on the side for leg splits. 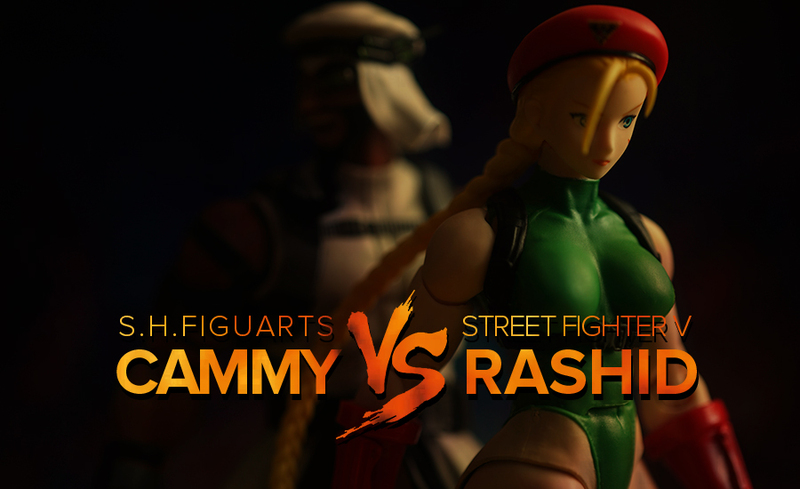 There is no obvious ab crunch for Sakura compared to the Cammy and R.Mika figure. 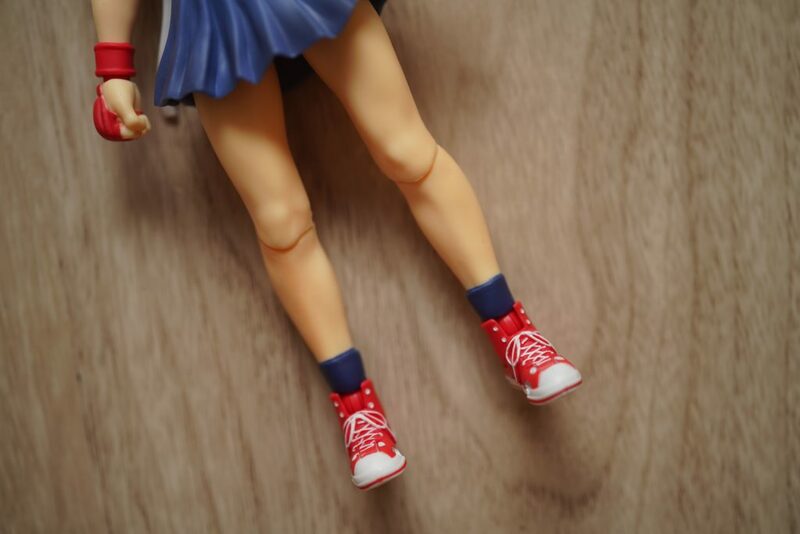 I really like how the knee joints are made – it look very seamless and well hidden from the front. I liked how they painted the figure. The colors are simple but they’ve added shadows to create depth and dimension. The face plates can be changed by removing the face plate downwards from its connecting peg. 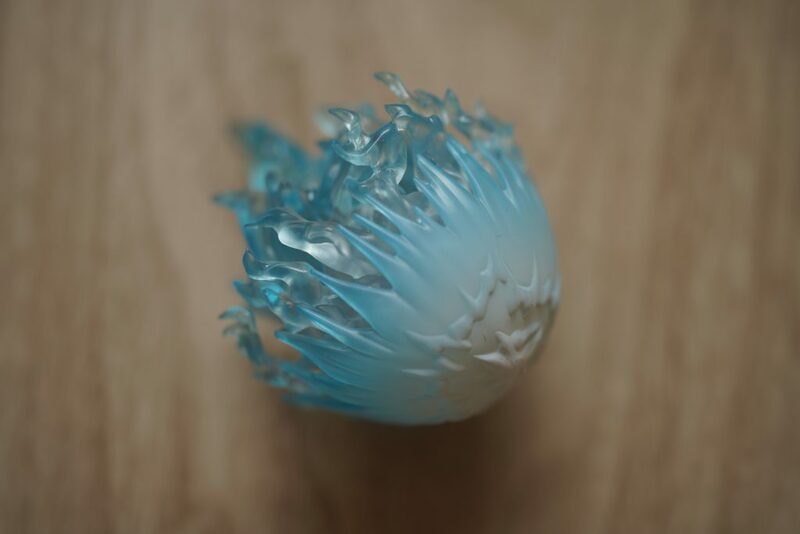 Bandai even made a good paint job on the hadouken effect, I liked how they made the color gradation from white to blue. 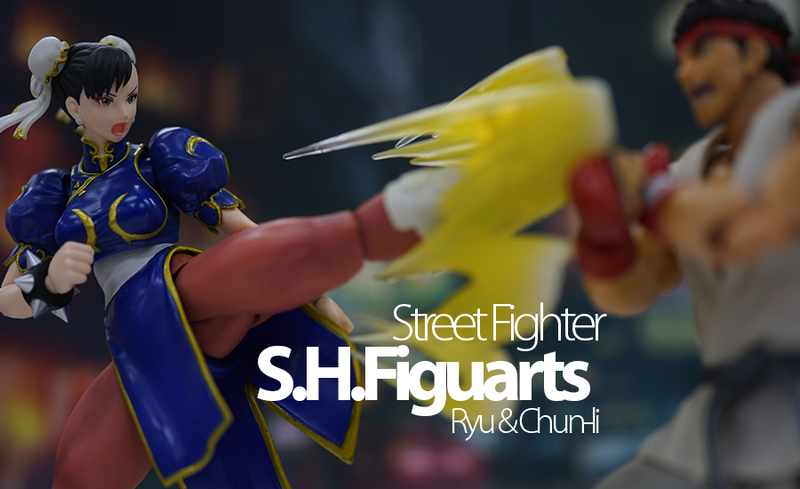 I’ve been following the releases of the Street Fighter line from S.H.Figuarts so far they haven’t disappointed me. 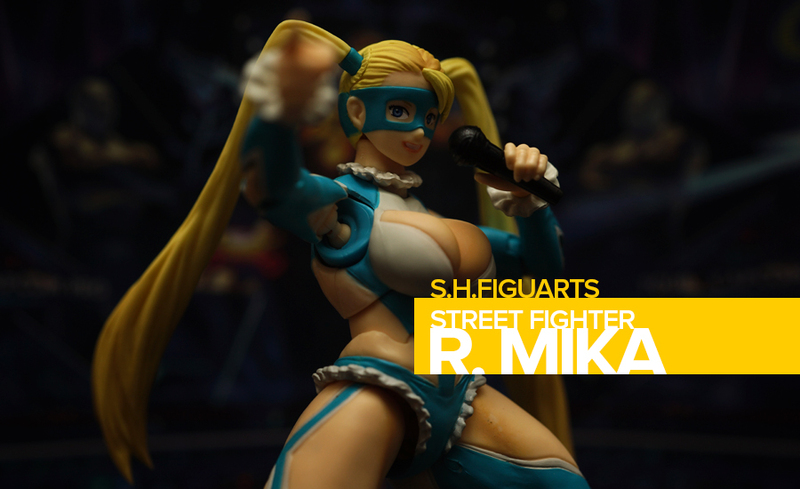 I really recommend this figure if you’ve already started collected the previous Street Fighter figures. 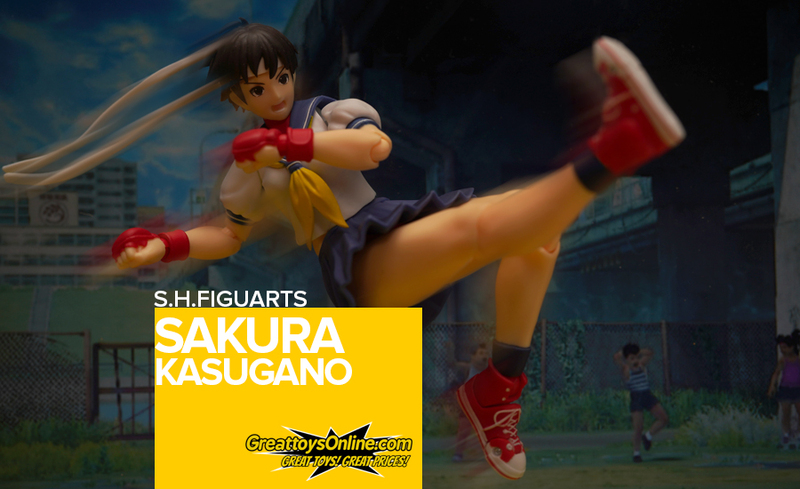 To order your own Street Fighter Sakura Kasugano figure, visit GreatToys Online‘s store to place your order. 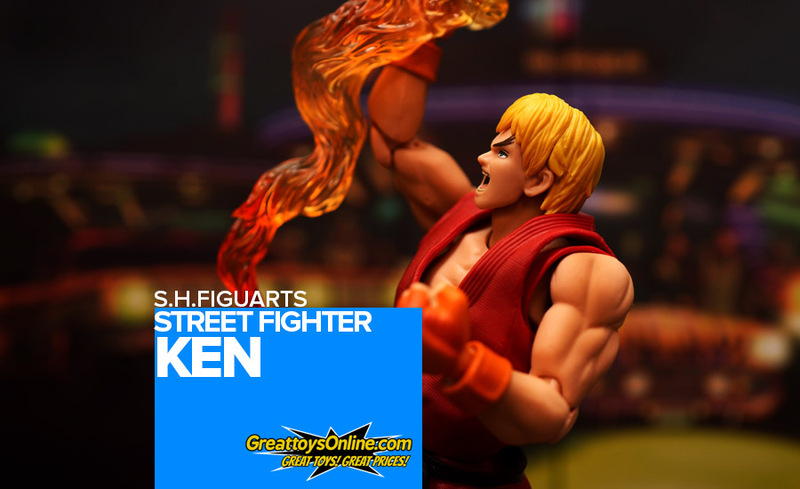 You can also see other figures up for sale in their website!